The 2019 12 Hours of Sebring was certainly one to remember. The annual American endurance classic started under extremely wet conditions, which promptly shuffled the DPi field. As we saw when the rain came teeming down at the Rolex 24 at Daytona in January, some cars struggled immensely in the wet, while others flourished. Dane Cameron, for example, had put the No. 6 Acura Team Penske ARX-05 DPi on pole and the No. 7 sister was starting from third, however both cars lacked pace in the wet and immediately dropped through the DPi running order. The Acuras slow pace also allowed the No. 5 Mustang Sampling Cadillac DPi-V.R, along with the eventual race-winning No. 31 Whelen Engineering Cadillac DPi to gain an early foothold at the front of the pack and benefit from track position as the track dried. The No. 31 Cadillac eventually won the race, with Felipe Nasr coming out on top following a late-race battle with the No. 10 Konica Minolta Cadillac of Jordan Taylor. Corvette Racing also struggled in the wet, but the No. 3 Corvette C7.R crew managed to claw its way back up the GTLM running order over time and eventually came home third. The No. 4 Corvette C7.R fell off the lead lap early when it experienced an electrical issue that forced them to pit for repairs. Post-race, Jan Magnussen described the day as good for championship points, but disappointing as the team did not get a much-needed victory. Enough of our summarizing, though. The amazing folks over at IMSA have uploaded the entire 2019 12 Hours of Sebring to YouTube in two 6-hour clips. If you missed the race and want to re-live the action, be sure to watch Part 1 and Part 2 embedded below. 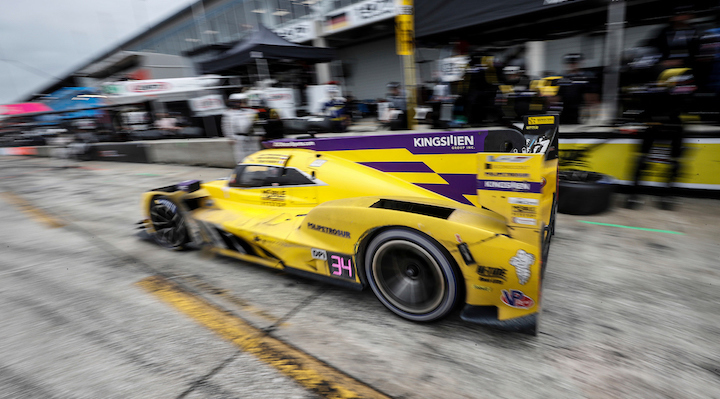 You can also click here for full results from the 2019 12 Hours of Sebring if you want to know how things hashed out.